There’s a lot of fantastic media content on Reddit, although finding it isn’t always easy. 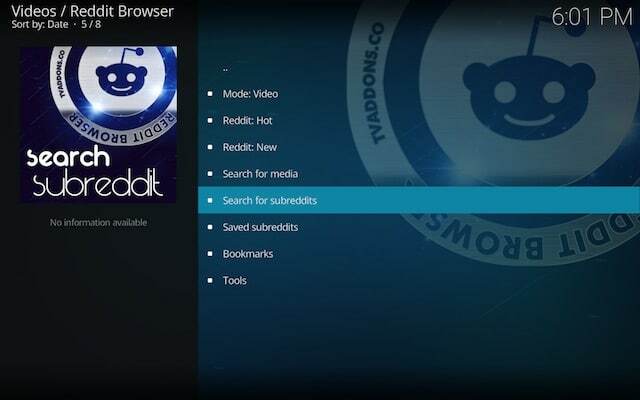 The new Reddit Browser for Kodi scrapes subreddits for video, live streams, audio, images and discussions. The add-on has been in development for almost a year, and while it’s still very much a work in progress, it’s easy enough to use. New Kodi 18 'Leia' Beta 3 arrives -- download it now! Unofficial Kodi add-on provider TVAddons has put together a quick start guide, and a video to show you how to install the browser in the popular home theater software. Click on the Add-ons tab from the vertical menu bar. Select the open box icon at the top left corner of the Add-ons interface. Select the fusionco server based folder. Choose the kodi-repos folder to proceed. Select the repository.xbmchub-3.0.0.zip file from the listing. Wait a few seconds, then choose the Install from repository function. Select the TVADDONS.CO Add-on Repository from the listing. Select the Reddit Browser addon from the listing. Click on the Install button at the bottom right of the window. Wait a minute, then press back three times to return to the Add-ons menu. Launch the Reddit Browser from the right side of the Add-ons interface. Select the Add-ons tab from the vertical menu bar within Kodi. Choose the Program add-ons category. Launch the Git Browser from the right side of the Add-ons interface. Select the Search by GitHub Username function. Input tvaddonsco using the on-screen keyboard, then press the OK button. Choose the plugin.program.reddit_browser-1.0.1.zip file from the listing. Press the Yes button to proceed with the Reddit Browser installation. Wait a minute for the Reddit Browser and its dependencies to download. Press the Restart button to finalize the addon installation. Once Kodi is relaunched, click on the Add-ons tab once again. Launch the Reddit Browser from the right side of the screen. Press back to dismiss the first run prompt, after reading. Choose the Search for subreddits option. Click on the Quick search function. Enter the name of the subreddit you wish to find. Select the subreddit name from the listing. Choose the thread you wish to open. Select the Play/Display this item function, or any other method of viewing you wish to use. The below video will also guide you through the installation process.